Tasmania’s east coast is so full of opportunities to stop, take a breath and relax, you might even forget what busy feels like. 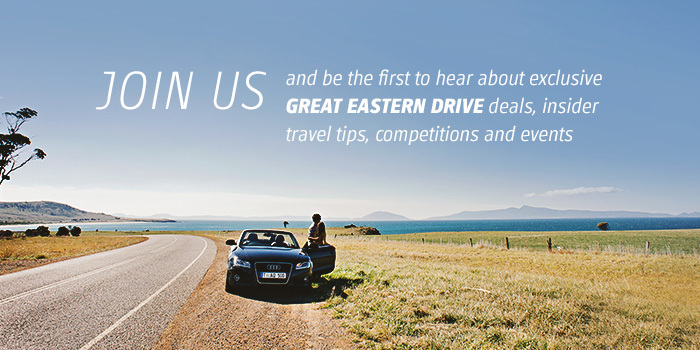 The Great Eastern Drive will lead you to places and experiences that will make it impossible not to unwind—from luxury resorts and eco-lodges to intimate cabins and welcoming B&Bs, fine food and wine to treat your taste buds, and experiences that will fill you with wonder instead of worry. When you make a choice to simply wander, time is on your side. Stop when you like, and take as long as you like, and unwind on the Great Eastern Drive. As soon as you curl your toes in the sand on an east coast beach, you’ll feel everyday pressures drain away. 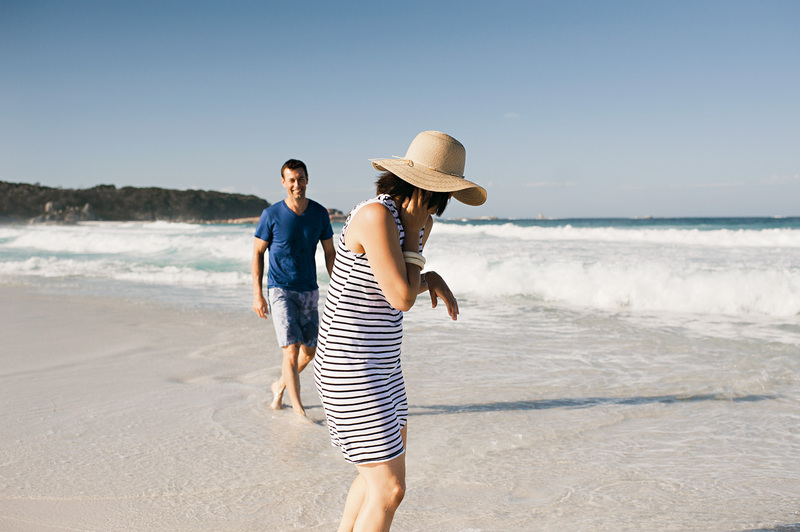 You can walk for a few minutes or a few days on east coast beaches—just plan your visit to suit your own needs. Wander at a holiday pace, dip your feet in the water, take a long, reviving swim or just sit and watch the gulls lifting on a gentle breeze. 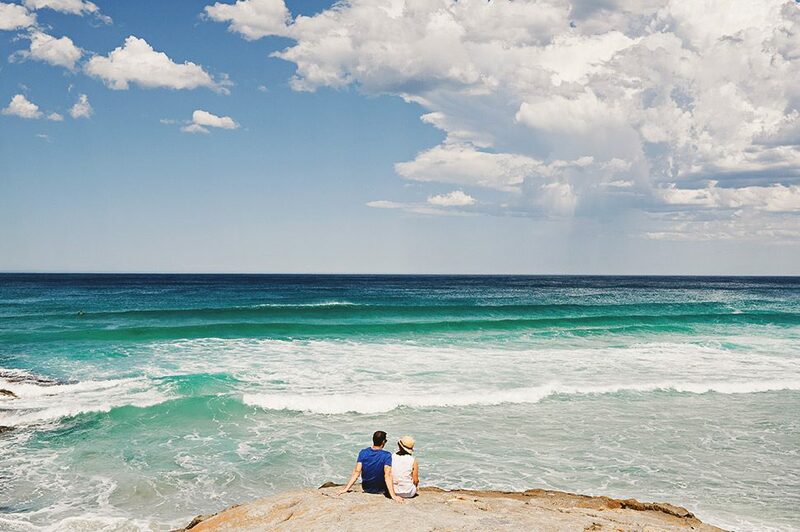 Visit coastal towns along the Great Eastern Drive to find beautiful beaches and foreshore trails, or just stop when you see a slice of coast that appeals to you—from the lovely Raspins, Shelly and Spring Beaches at Orford to the white sands of Binalong Bay and the Bay of Fires. The coast between Orford and Swansea has beautiful beaches facing onto Great Oyster Bay, including Little Swanport, Mayfield Bay and Nine Mile Beach and the beaches of the Surf Coast, between Bicheno and St Helens, are perfect for walking, beachcombing, and relaxing. The Freycinet Peninsula has some of the best-known east coast beaches, including Wineglass Bay, considered one of the world’s most beautiful. Take the one and a half hour return walk (1.5 km each way) to the Wineglass Bay Lookout. Spend some extra time soaking up the view or descend to the beach to get your feet wet and spend a morning, afternoon or whole day relaxing on the white sand or strolling at your own pace. Other beaches close to Coles Bay include Richardson’s Beach, Muir’s Beach and the incredible Friendly Beaches, a huge stretch of glorious coastline that is also the location for the Freycinet Experience Walk. 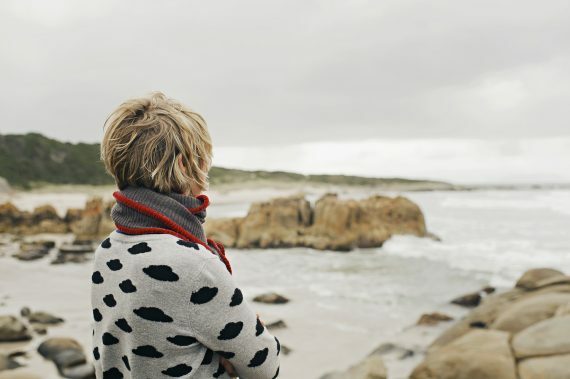 Further north, visit the iconic Bay of Fires—a dreamscape of pure white sand, orange lichen-clad boulders and turquoise sea. Is there really a better way to unwind, clear your full head and take a break from the busyness of everyday life, than walking? Happily, you won’t run out of options for walking on the Great Eastern Drive. 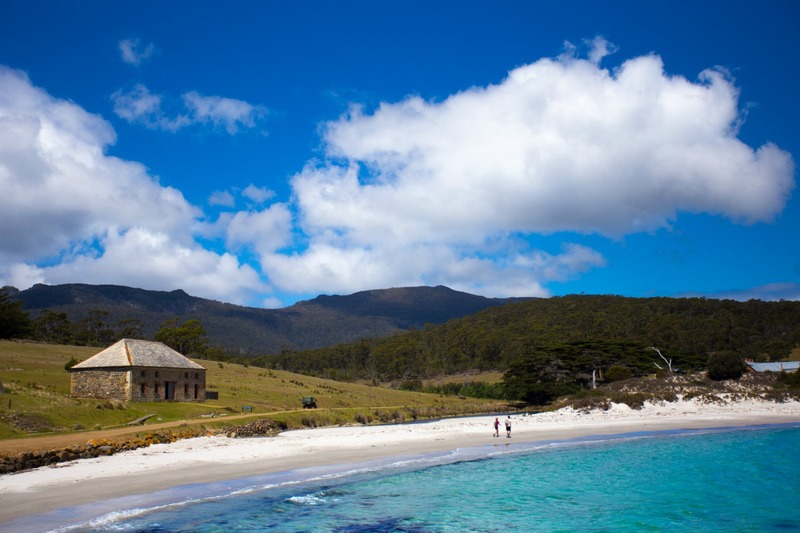 Explore the region’s national parks on foot, including incredible Maria Island, where you can spend a day or several walking everything from calm beaches to open grasslands and the island’s mountains. Take the short walks (1-2 hours return) to Painted Cliffs and Fossil Cliffs or ascend to the top of Bishop and Clerk (3-5 hours return) or Mount Maria (6-7 hours return). Freycinet National Park’s easily accessible walking tracks include the short walk to Wineglass Bay Lookout (one and a half hour return walk), and half or full day walks, including Wineglass Bay Beach, Mt Amos, Hazards Beach and the Wineglass Bay/Hazards Beach circuit walk. At Douglas Apsley National Park, located inland from Bicheno, you can choose from short or full day walks, including the Apsley Waterhole and lookout (10 minutes to the lookout, or take a 2-3 hour return walk from the river), Apsley-Myrtle Rainforest walk (30+ minutes) or the more challenging overnight walk to Heritage Falls and the Rainforest Circuit (7-9 hours return). If you’re walking independently in a national park, you’ll need to carry your own food and water and make sure you have appropriate bushwalking gear for Tasmanian conditions. Three of the east coast’s multi-awarded guided walks—The Maria Island Walk, Freycinet Experience Walk and Bay of Fires Walk—have been named among the eight Great Walks of Australia, and are listed by Australian Traveller Magazine among the 100 Greatest Holidays in Australia. 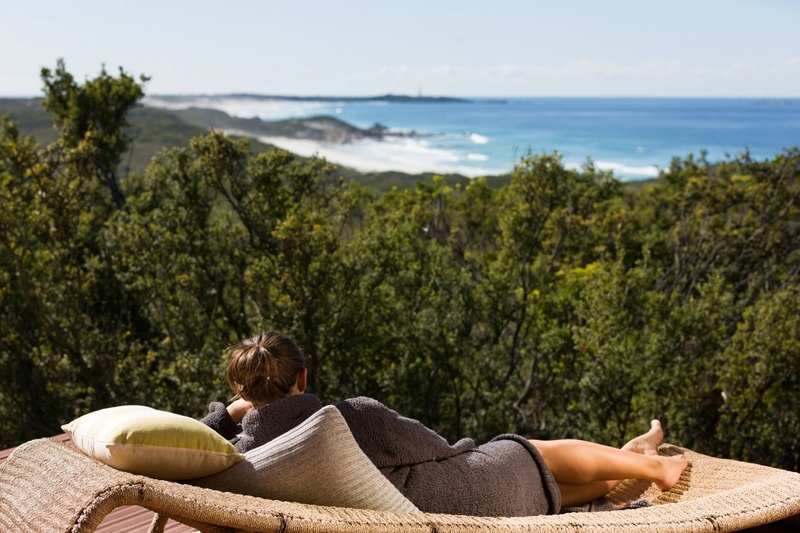 The Bay of Fires Walk is four luxurious days of superb beach and coastal walking that combines accommodation at a private standing camp with two nights at Bay of Fires Lodge, where you will be wined and dined with Tasmania’s finest produce and vintages. The Maria Island Walk, also four days in length, takes you to beaches, grassland, bush and the rainforests of Mount Maria. The first two nights of the walk are spent in permanent tent accommodation with the final night in heritage-listed Bernacchi Homestead. The Freycinet Experience Walk is a four-day guided discovery of the Freycinet Peninsula’s beaches, coast and pink granite slopes of Mt Graham. Accommodation is in the award-winning Friendly Beaches Lodge where you’ll be pampered with hot showers, fine Tasmanian produce and wine and the bliss of a soft warm bed each night. 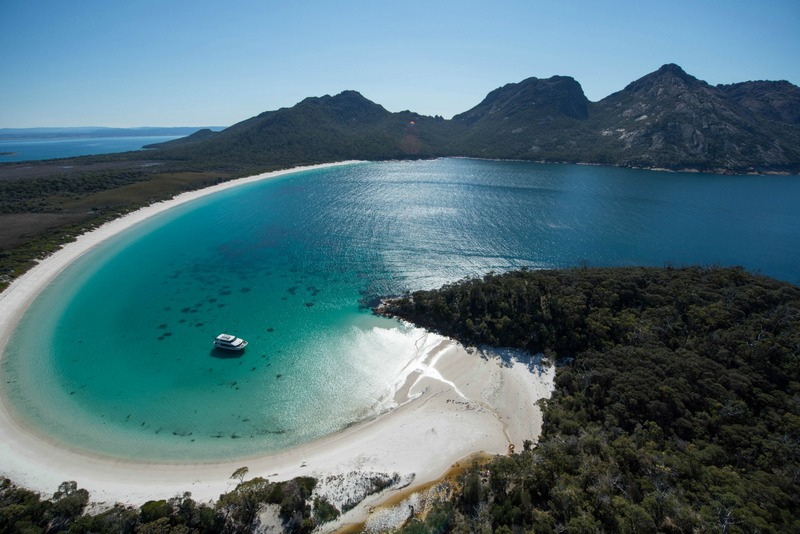 Wineglass Bay Sail Walk offers four and six day experiences aboard the luxury ketch Lady Eugenie, combining cruising and gourmet dining with walks on Maria Island, Freycinet Peninsula and Schouten Island. Taking a half day or longer to relax aboard a luxury cruise boat or yacht with a glass of fine Tasmanian sparkling and a plate of gourmet local produce is an essential Great Eastern Drive side trip. Cruising on the east coast gives you an opportunity to truly disconnect, and take in the full spectacle of the region’s scenic beauty and diverse wildlife (and spoil yourself a little at the same time). Wineglass Bay Cruises offer luxury, four-hour tours (including a gourmet Tasmanian ploughman’s lunch) aboard the Schouten Passage II, cruising the Freycinet coast from Coles Bay to Wineglass Bay. East Coast Cruises offers private group charters or their acclaimed day tour – Maria Island: Cruise + Walk onboard their custom designed cruise boat Spirit of Maria. Bay of Fires Eco Tours also offers 2-3 hour tours to the Bay of Fires, The Gardens and St Helens Island departing from Binalong Bay aboard the ecotourism vessel Infurneaux. Getting away from it all means leaving everyday obligations far behind and enjoying a complete change of pace. The Great Eastern Drive has a range of accommodation choices that will immerse you in an environment of peace and pampering. Choose everything from the blissful freedom of camping in a national park, to the indulgence of luxury suites and apartments. If you really want to spoil yourself, Saffire Freycinet, Rocky Hills Retreat and Avalon Coastal Retreat offer seclusion and elegant style. Or, retreat to the welcoming comfort of cabins and waterfront cottages, like Bicheno by the Bay, the Beachhouse at St Helens and White Sands Estate at Four Mile Creek. One of the great joys of wandering is discovering that little gem of a restaurant or cafe along the way and spending uncounted hours relaxing over good food and wine. East coast eateries range from high-end restaurants, family-friendly bistros to quirky cafes and fish punts serving freshly cooked fish and chips. And, make sure to spend a lazy day or two touring the coast’s wineries and visiting cellar doors to sample the region’s premier cool climate wines. Visit farm gates like the Pyengana Dairy Company for locally made cheeses and ice cream, the Freycinet Marine Farm for freshly shucked oysters and mussels, and Kate’s Berry Farm for luscious fresh berries and berry-infused treats. Local markets are fantastic places to spend a leisurely morning browsing and discover organic, locally grown produce and gourmet treats. You’ll find seasonal and community markets at Swansea, Coles Bay, Triabunna and St Helens. East coast providores are also a fantastic source of gourmet local produce. For more inspiration, read our Great Eastern Drive Food and Wine Experiences. You’ll find shops, boutiques, art galleries and studios in towns all along the Great Eastern Drive. Stroll the streets to discover galleries that showcase art and crafts from local Tasmanian artists. Options include Gallery ArtSpaces Cafe at Triabunna, Artifakt Gallery and Café and Bear Cottage Crafts at Swansea, and the Earth Land and Sea Art Gallery at Bicheno. There’s also Gallery Pejean at White Sands Estate, Four Mile Creek, Gone Rustic Studio and Gallery in St Marys and the Suncoast Gallery at St Helens. Shoppers can spend many happy hours browsing stores in east coast towns. Galleries offer art and crafts for sale and shops offer everything from antiques and collectibles to stylish clothing and quirky onsite cafes. Wander at your leisure to discover places like the Lifebuoy Café and Quail St Emporium in St Helens. You may also want to explore the delightful Coastal Style, and the eclectic Log Cabin Store in Bicheno, and Felicity’s Vintage and Tea Room in Swansea. The simplest and purest way to really relax is to let time flow, wander at will and let experiences unfold before you. The beauty of taking a road trip on the Great Eastern Drive is that you can explore and discover Tasmania’s east coast at your own pace. Take a whole day to stare at the sky if you like, sit on a beach and snooze, or pull over at lookout after lookout and take photos to your heart’s content. Take a weekend, a few days or longer to explore, feast and wander on the Great Eastern Drive, and experience a truly relaxing adventure.